What better compliment could I ask for than to be told that my clients love their images? I always strive to ensure every client gets the best possible images and service that I can provide, so to receive such lovely feedback really makes it all worthwhile. Michael was brilliant, he put us and our guests at ease, he controlled the crowd really well for all the group shots, and our guests commented on how well he did this, and his easy friendly manner. By his own suggestion, he arranged access for my wife and I to a lovely setting down by the estuary for the evening, for us to have some 'me' time being photographed on our own in a relaxed setting, something we hadn't thought about before, which was a really nice touch and rounded the day off so well. 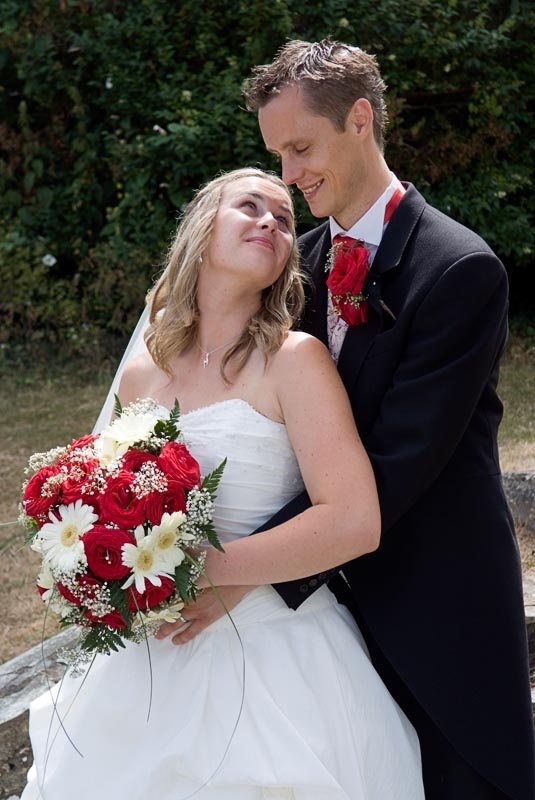 We are really pleased we chose Michael as he was so easy to get on with, nothing was too much trouble, the quality of the pictures is very good, with so many shots to choose from, and he delivers very good value for money. Wonderful man and a honour to have as wedding photographer , made such an effort to ensure we had the best possible pictures, going to Thatchers for a trial shoot and looking around hotel to help him with planning shots. He's very friendly and many of my guest said it was nice to see a friendly and happy photographer who wasn't pushy, just polite at all times.